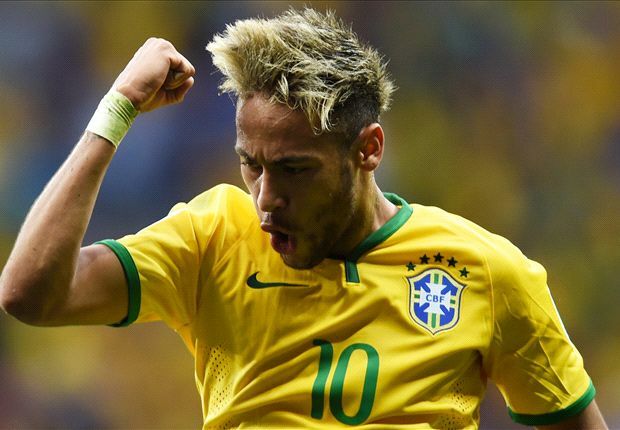 Brazil coach Dunga has confirmed that Neymar will captain the side against Colombia on Friday. Thiago Silva, who was captain under previous coach Luiz Felipe Scolari, is absent from the squad that will follow up their clash at Sun Life Stadium on Tuesday when they face Ecuador in New Jersey. And Dunga believes the 22-year-old Barcelona star has all the tools required to lead the group. "It has already been decided, [Neymar will be captain]," Dunga told a press conference at the Mandarin Oriental in Miami. "He's a player with a lot of quality, despite his age is experienced. The captain has to set the standard for the others," he added. "Neymar has responded very well to it. He is a player who likes challenges and like to win. We talked to him when we first broached the subject and we told him what we wanted. We told him about the advantages and the disadvantages, about the history and responsibility the shirt brings." Dunga himself captained Brazil to World Cup glory in 1994, and went on to suggest Neymar has everything required to go on and lift the trophy for Brazil in 2018. "Every time Brazil won a World Cup it did so with leaders who had great personalityâ€¦ we need more players with this characteristic in the group, whether they wear the armband or not."